There are a number of options available for individuals seeking Alternative Therapies for Substance Abuse Addiction. With any kind of therapy treatment, it is important to consider what therapies best fit your needs and recovery focus. In general, holistic programs look at an integrated physical, mental, and spiritual model for treating substance abuse and addiction . These techniques are also referred to as alternative or complementary treatments and are based on practices that are defined as being close to nature or derived from cultural traditions. Some examples are acupuncture, massage, yoga, biofeedback, and nutritional therapies. Many drug addiction treatment program now incorporate Alternative Therapies. First, there is Emotional Freedom Techniques (EFT). EFT is often referred to as ‘tapping.’ It involves using the tips of your fingers to tap on a sequence of points on the body that are related to acupressure points or meridians. It is an energy psychology technique that helps to energetically balance you as well as free up areas where your energy might be blocked . When the tapping is happening the individual will verbally make statements that identify or name the current emotional issue or presenting problem while practicing acceptance of yourself regardless of those problems and feelings. EFT may help address the underlying causes of your addiction and help you cope more effectively with cravings. A second Alternative Therapy for Substance Abuse Addiction is yoga and mindfulness-based therapy. Individuals who are struggling with addiction are often disconnected from their body and can engage in substance use to self soothe and numb painful emotional thoughts, emotions, and experiences [1, 4]. Therapy that involves mindfulness training can help a person increase awareness and connect with self that they can have a better understanding of how addiction plays a role in your life. Yoga is a technique that uses physical postures and controlled breathing to lengthen and strengthen the spine, increase flexibility, calm the mind, and improve concentration, and promote patience . Yoga can also contribute to a greater sense of control in more acute states, when experiencing cravings, insomnia, and agitation. Yoga and mindfulness therapies are about how to learn to respond to stressors rather than reacting, and leading to more conscious decisions. There are many ways to begin practicing mindfulness, from learning to be more present in your daily life to more formal meditation. 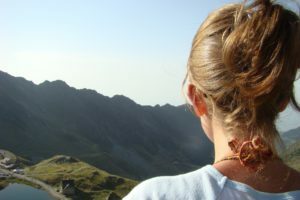 The practice of yoga can also be a spiritual connection and sense of interconnectedness, which can help address feelings of isolation and shame with often come with addiction. A third therapy is equine therapy. Equine Assisted Therapy will mean that you are accompanied by a licensed mental health professional and an equine specialist. To participate in equine therapy, you do not have to know how to ride a horse as all of the activities will be conducted on ground. You may participate in activities directly related to the care taking of the horse as well as more structured activities designed to help address therapeutic issues. 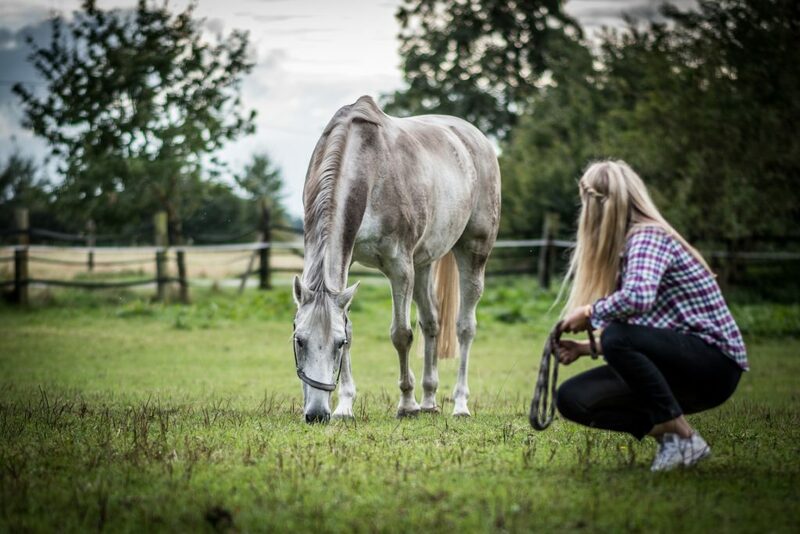 Taking care of a horse with equine therapy can foster feelings of self competence, and more structured sessions can provide a safer way for you to begin exploring deeper emotional issues without judgement while in the presence of an animal which can be calming. The relationship a person develops with a horse (or other therapy animal) can mirror how you related to yourself and others. Often issues that are underlying the addiction will present itself in interactions with the horse. Through this type of therapy and assistance with your therapist, can identify patterns that underlie and fuel your addiction, while practicing new ways of thinking, feeling, and behaving. Art therapy is another type of experiential therapy that can be used in various ways such as pens, paint, tissue paper, clay, beads, or even wooden boards, and nails. Similar to equine therapy, it can offer a different type of way to address issues that contribute to your substance abuse addiction. The process of creating your art can be therapeutic and relaxing and the content of your art can be used in therapy to be explored as well . Adventure therapy is a more active type of therapy and can appeal to those who want to include more active, mobile practices into recovery. This therapy can be motivating and dynamic as you utilize ropes course, hiking, camping and team building games to explore your addiction roots. Adventure therapy can also help promote the development of life skills that can aid in recovery. Some opportunities are to learn how you react to stressful situations. Those who struggle with addiction often have difficulty effectively responding in a healthy way to life’s challenges. It also gives you real-time feedback to how the environment or situation is impacted by your responses and attempts at problem solving. Adventure therapy gives you the opportunity to adjust behaviors in the moment and learn better coping skills that you can apply to your life. Biofeedback or Neurofeedback is a alternate therapy that helps individuals monitor their body’s physiological processes to affect psychological change. It is a scientific way of learning how to reduce tension [3, 5]. Biofeedback practitioners use instruments that measures and gives immediate biological feedback such as heart rate, skin conductance, and muscle tension . As you watch your reactions change in real time, you can learn crucial skills of self regulation. Individuals who use biofeedback say they gain psychological confidence when they learn they can control their physical reactions. Biofeedback such as HeartMath uses an earpiece or finger sensor to measure heart rate variability (HRV), or the beat-to-beat changes in your heart rhythm. The information is displayed on a computer screen so that you can monitor what factors might affect your heart rate variability in a positive or negative way. Enhancing your HRV can help with managing stress more effectively and learning coping tools to improve positive change. Neurofeedback works similarly that it uses real time feedback to self regulate. It differs that electrodes are connected to your head to monitor brain waves. Both of these methods can help increase relaxation, reduce cravings, and help learn more effective ways to cope with addiction triggers and urges. Psychodrama is another experiential treatment during which participants act out a scene, often related to an interpersonal issue. There are various approaches from more structured to free-flowing, although there are some specific techniques that are commonly used to increase awareness to promote behavioral change. One is role reversal. This allows participants to switch places with another and act as another person. This allows the actor to perceive the situation from another’s point of view. It can help promote resolution of emotions and hurts as well. Role reversal also allows for you to see thoughts or feelings that you may be unaware of when someone else is playing you in the role. Doubling, another type of psychodrama, is where the therapist or another person acts out the inner voice of an actor. Often, with substance abuse, the user is unaware of how they are actually feeling or may be in denial about their addiction. This can help with the person becoming more in touch with their emotional truths and consequences of addiction. Acupuncture is another alternative therapy that is both safe and cost-effective. When combined with other traditional therapies it can benefit those struggling with substance abuse. Acupuncture can help reduce cravings, increase retention in treatment, ease unpleasant withdrawal symptoms and physical pain. It can also help with emotion regulation, decrease anxiety and stress and help regulate sleep patterns . It is believed to affect the dopaminergic system in the brain and decreases the positive and negative reinforcements of addiction and reduce drug use by inhibiting gamma-aminobutyric acid (GABA) neurons and increasing the release of dopamine . Being able to use nontraditional therapies for addiction recovery has various benefits. These are beneficial for overall psychological health and well being and can improve certain protective factors that contribute to success with treatment and relapse prevention. Alternative therapies can offer a more comprehensive approach that addresses the whole person on a mental, emotional, physical and spiritual level. These therapies use the body’s innate wisdom to heal and offer more natural approach that may be more attractive to some individuals. It can beneficial to those individuals that do not find traditional therapies or programs effective, or intimidating and alternative therapies can help with more experiential ways to address underlying addiction issues. New life skills can be gained through various therapies that can increase chances of maintaining recovery and overcoming challenges. A majority of alternative therapies also engage the mind-body which can help with mindfulness and observe new insights and change.